Next Technologies IPTV is a new breed of TV service that can help Telco operators to stay ahead of the competition and sustain their long term success. Next’s IPTV supports not only conventional broadcast television as per cable and satellite operators, but also personalized on-demand services and interactive entertainments that can drive revenue for Telco operators – such as TV on Demand (ToD), Personal Video Recording (PVR), online gaming, and online shopping (T-commerce) services. Our solution also offers consumers full control over where, when and how content can be viewed, creating a high level of service personalization and an enriched viewer experience. The ‘best of breed’ standard solution allows the easy adoption of late-breaking technology options. The flexible configuration allows the system’s structure to be based on a subscriber/revenue basis. Next’s hybrid IP set-top box (STB) solutions enable manufacturers to develop a complete range of single and multi-room IPTV solutions. Select from a number of highly integrated solutions to build hybrid IP set-top boxes that deliver multimedia services over IP based networks from basic standard definition (SD) to high definition (HD) download and play, to streaming video-on-demand (VoD), Web browsing and widget support for whole-home digital video recorder (DVR) and other advanced media sharing applications. Leveraging on our proven track record and market leadership in set-top box technologies, Next’s IPTV family enables solution providers to tailor a wide range of services with Broadcom-enabled IPTV platforms. Broadcom’s hybrid IPTV solutions deliver complementary, streamlined feature sets for mid-range and thin client applications, supporting single or multi-room TV delivery and distribution. With both media server and thin client devices using Broadcom’s chip family, STB manufacturers can leverage a common hardware and software architecture, accelerating time-to-market for multi-room solutions. Set-top boxes – full integration with the best STB’s on the market for a superior customer experience. Now if you think that high quality comes at a high price, Next Technologies IPTV system may surprise you. We offer our solution in a license program with very low ongoing cost and initial investment. In addition, you can easily manage it from one central web-based console. 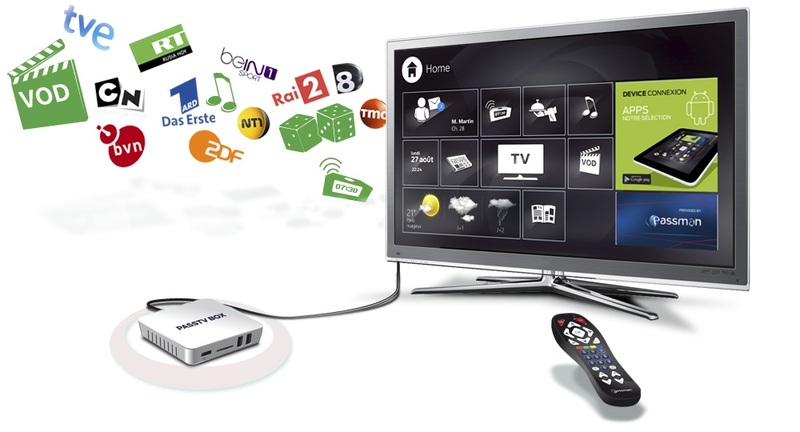 So if you are ready to take your IPTV service to the next level, come to Next Technologies.